Federal agents trying to serve an arrest warrant believe they may have uncovered a dog fighting ring. Inside the home where they were serving the warrant training harnesses, bite sticks and a treadmill officers believe indicate dogs were being taught to fight. Possible charges the dogs’ owner could face include cruelty to animals, and possibly more significant racketeering or other felonies once the investigation is complete. A seizure hearing later this month to determine if the dogs can be put up for adoption or should be returned to their owner. I am a dog lover. I also think that pit bulls get a bad rap. Stories like this do not help their image. Analyzing the legality of the search – pretty much everything that the officers seized could be used as evidence in subsequent prosecutions. The reason is that evidence of any crime that is immediately apparent to the officers when they are serving a warrant can be admissible evidence of a crime, even if unrelated to why they are there. 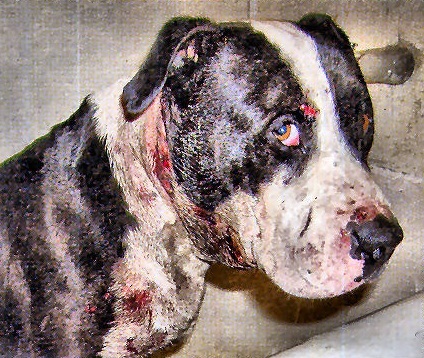 Arrested for a dog fighting? If you’ve been accused of a criminal offense involving any criminal offense contact attorney Tristan LeGrande by calling 281-684-3500.